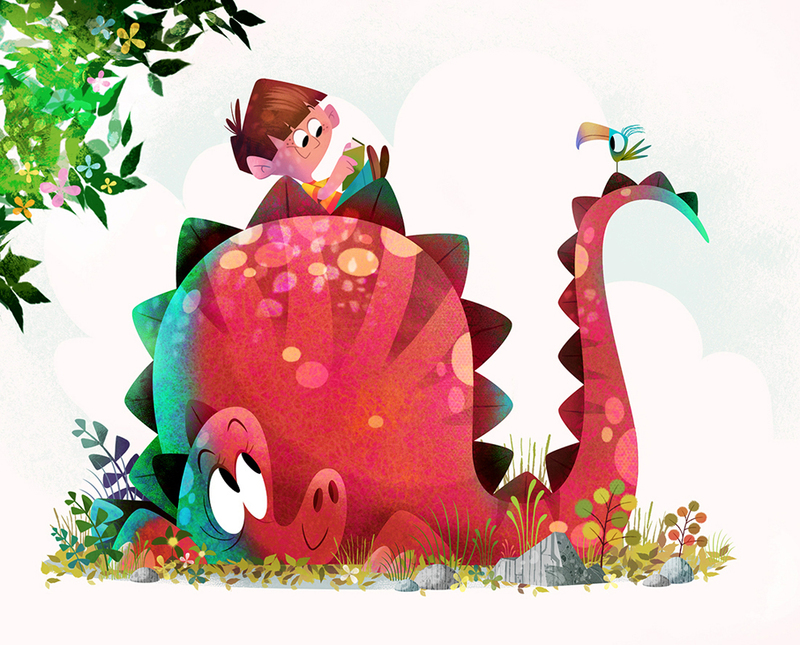 We’ve just updated Rich Wake’s portfolio with this brand new artwork, where an unlikely friendship has captured Rich’s imagination. 'I had an idea for a story about a boy, Sam and his best friend Mildred the dinosaur. It's still a work in progress, but I now know what they both look like and I'm imagining all the adventures they'll go on together.' To view Rich's full portfolio, click here. Rich Wake is represented by Kids Corner. Published on 9 November 2016.